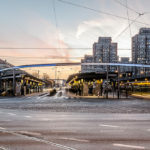 If you are craving for something new while traveling and Berlin or Paris seem too commercial for you – here we are to offer you a unique opportunity to spend unforgettable weekend in gorgeous Wroclaw city. Prepare yourself to be astonished! 3 days in Wroclaw will not be enough, but a lifetime wouldn’t be enough either. 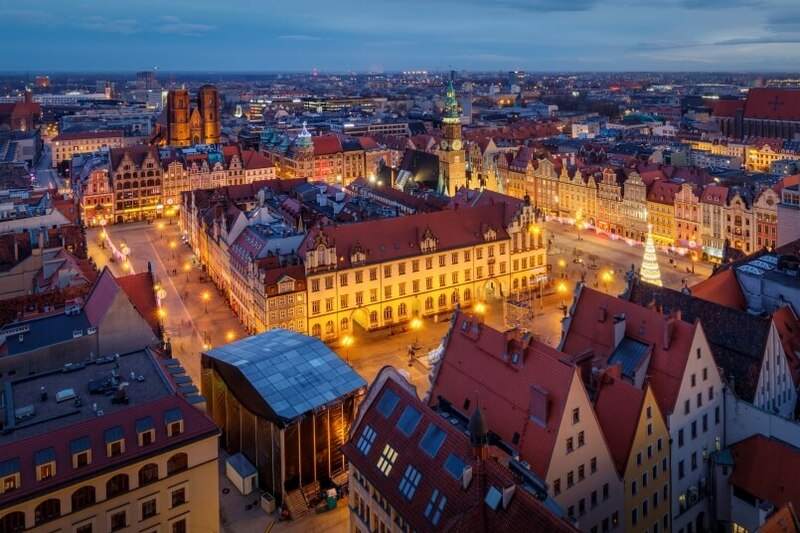 Wroclaw is one of the most beautiful cities in Poland. Please don’t say that is what everyone says about every city. This is a fact. It is a beautiful medieval city that has been around for a thousand years. 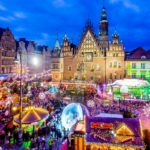 The charming atmosphere, the beauty, and the enchanting scenery have allowed Wroclaw to be the 2016 EU Capital of Culture, as well as the 2018 European Best Destination. So jump on the bandwagon – you will not be disappointed. 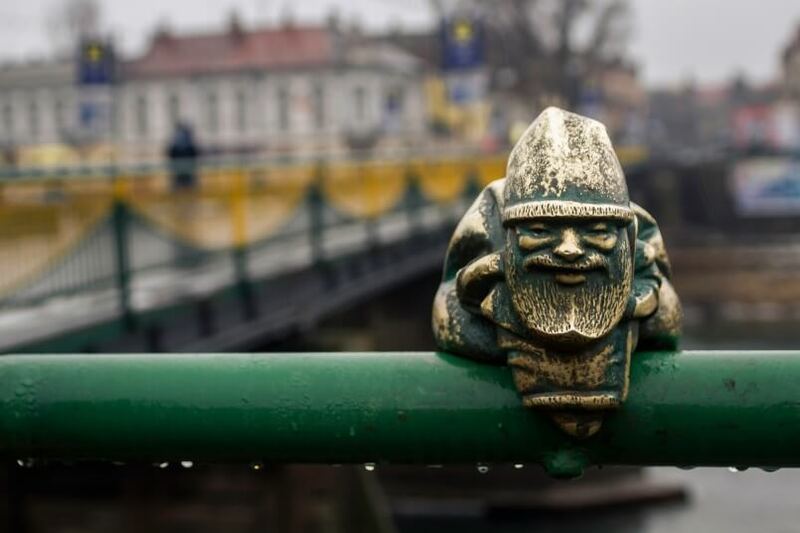 Here is a plan for 3 days in Wroclaw to make you fall in love with this remarkable city! Welcome to Wroclaw, the capital of Lower Silesia. We hope you’re in good shape, because you won’t have enough time for lazing around during these 3 days in Wroclaw. We are here to show you the most attractive places of the city, so prepare for marvelous experiences from the very beginning! 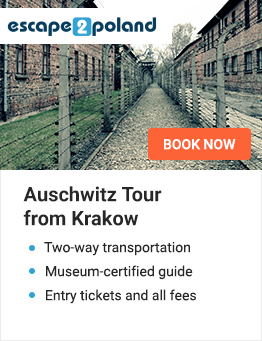 You should appreciate our work, because it’s extremely hard to select so few attractions from all of those that Wroclaw offers. Nonsensical graffitti was an important part of the Orange Alternative – Wroclaw’s peaceful resistance to the oppressive regime of communism. The city decided to place the first bronze dwarf in 2005, but now, no one is able to keep track of the over 400 dwarfs. Don’t stub your toe, because 20-30 cm tall dwarfs are placed everywhere, waiting to be found. Then you could head to your accommodation and make haste to see something breathtakingly stunning! Make your way to Pergola Fountain and feel free to let the awe sink in. This fountain is one of few in the world that can shoot water 40 metres in the air with 300 separate spouts. On the 700 square metre screen you’ll can see one of a kind animations and movements. Sounds of music and water splashing make an unforgettable impression! There is no way to describe the beauty of fountain show (thus, you can always comment with your description that’s better). If you wish to taste the true Polish cuisine, this is the right place with fantastic selection of traditional drinks and dishes with great location and cozy atmosphere. Here you will definitely enjoy the outdoor eating in the place famous for delicious Mediterranean and Polish dishes. Grab some wine and enjoy the incredible riverside view. Feels like French and Mediterranean-inspired dinner in the heart of Wroclaw? This place would make you feel in another world! Always busy, but trust us, aesthetic pleasure is unforgettable. 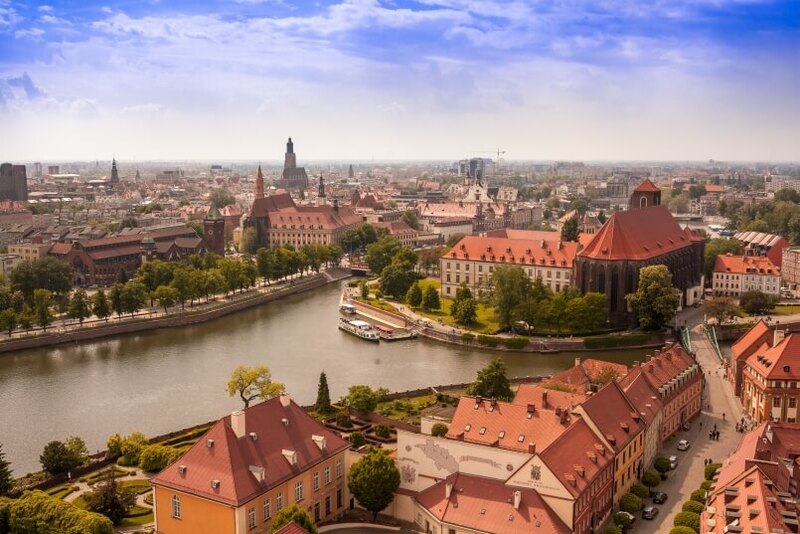 We could offer so much more, but let’s leave it for another cultural trip to Wroclaw (because this city makes you feel like you are really welcome back again and again). 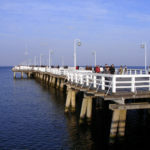 There are more local bars, cafes and restaurants to be enjoyed there. Good morning! 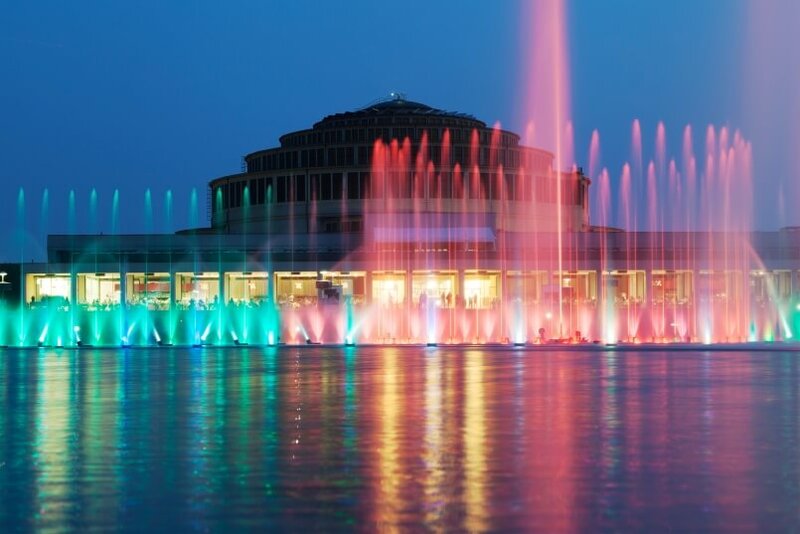 We’re pretty sure that you didn’t cool down after yesterday’s breath-taking fountain show and wonderful dinner. But you’d better get accustomed to this feeling – we have just started! Today, you are going to visit the Main Square with all the surrounding monuments. 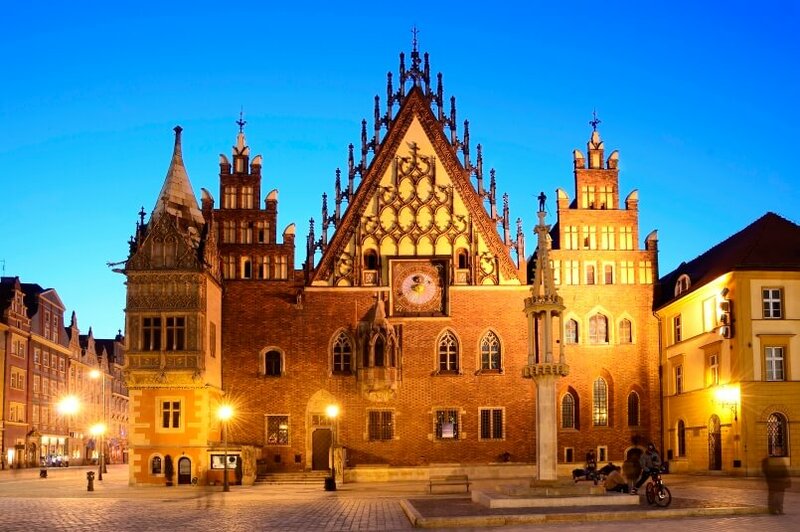 First of all, we have the Wroclaw Town Hall. It was built during the first half of the 13th century. Surrounding the Town Hall are tenement buildings and florists. It is hard to believe that 800 years ago someone was walking this way, too. Maybe you could get a flower from a florist for that special someone you are travelling with. Or maybe you are tempted to get some aromatic coffee at an idyllic cafe on your way. Go ahead and enjoy every minute just wandering around. We’ve done that, too. To make your trip not only exciting but also educative, we recommend another unique place worth seeing – the Post and Telecommunication Museum. It is hard to believe that the Polish postal service was brought into existence almost 500 years ago by King Zygmunt August in 1558. Don’t be scared to visit this amazing museum – there are old phones, post vehicles, stamps and more! You’ll be pleased to visit, but remember you still have a plan! An hour is enough today, you can always come back. 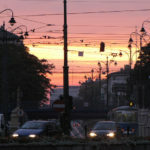 We really want to show you various sides of Wroclaw. So, nice walk, fresh air and gorgeous views will give you some more energy for the rest of your trip! 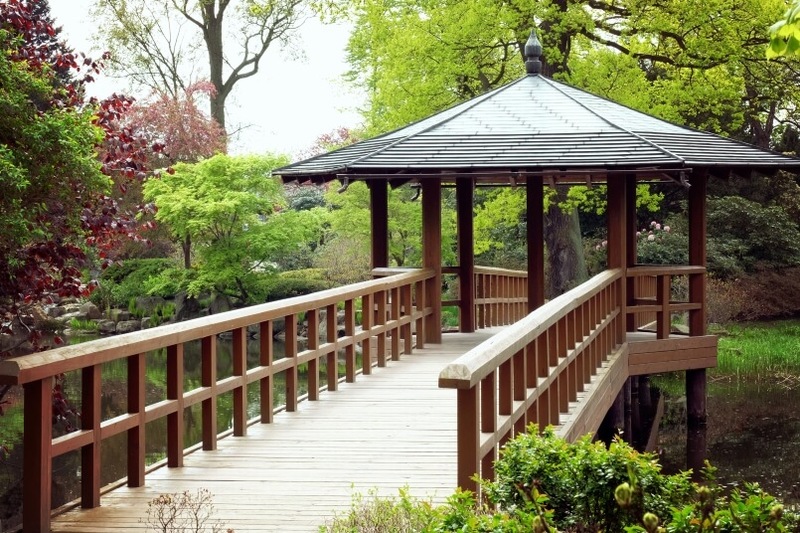 The Japanese Garden is a part of Wroclaw Botanical Garden, which belongs to the University of Wroclaw. All structures such as bridges, pavilions and gates are a combination of Japanese tradition with the precision of Polish artists. Watch out, just behind the garden, there is a stone path that will bring you to a beautiful wooden bridge over a pond. Wander around a bit to see the park’s glory. 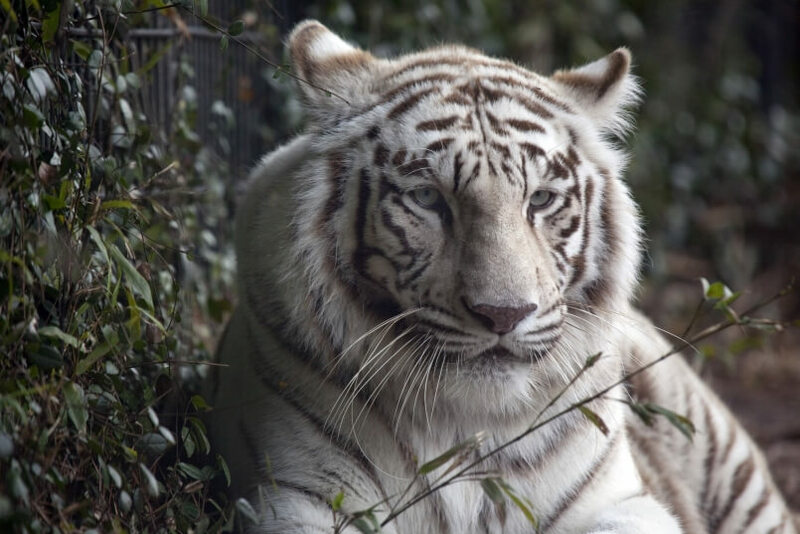 If you want to put the note of excitement, here is the great alternative – you could go to see the amazing animals to the Wroclaw Zoo. Among the unique critters the zoo offers, the most valuable residents are the lions, giraffes, and hippos. It’s worth to stay a while next to the baboon run – they are very funny. Go ahead and finish visiting the Wroclaw Zoo at your own pace and then we’ll reconvene soon (you big baboon)! Hopefully, the baboons were funnier than our terribly lame pun… we apologise. After you grab dinner, what is better than to walk off what you just ate? Wrocław’s 12 islands are hard to explore in 3 days, but well, for one evening walk Ostrow Tumski will impress you anyway. Formerly, the first establishments on Odra River’s islands were erected in the 10th century. Now, the Wroclaw Cathedral remains from those times… The best part is that each night, a lamplighter goes around to light the gas street lamps, just like decades ago! There are plenty of things to do in the evening but I believe that after such intensive day you’re dreaming of a peaceful night at your hotel. No?! My God, you’re immortal! We don’t want to suggest anything about the nightlife in this city. Follow your instincts – you’ll have a great time anywhere you go in this magical place. 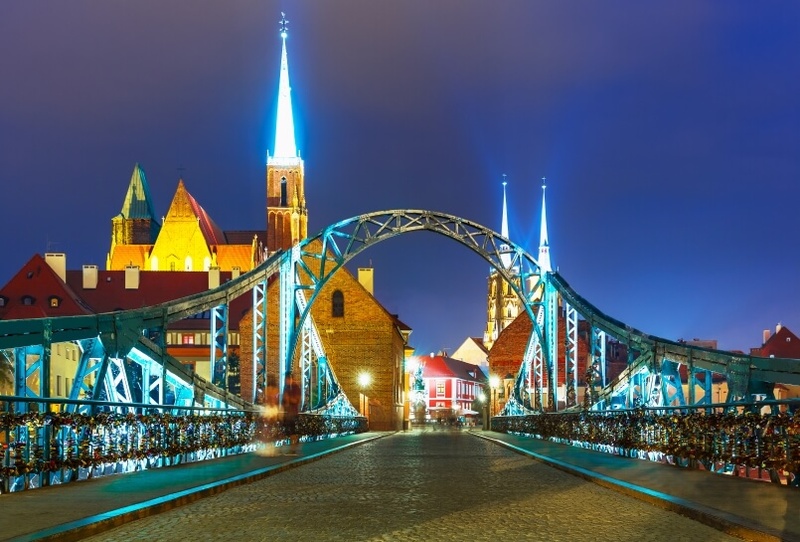 During day 2 of your 3 days in Wroclaw itinerary, you’ve seen history, art, and nature. This isn’t everything Wroclaw offers, but that’s all for today. Raclawicka Panorama is the one of the most popular attractions of Wroclaw, this 19th century depiction of the Battle of Raclawice is … well, giant – come and see yourself! It is held in a circular building where it is admired 6 days a week in the off-season and daily from April to September by millions of people. A normal ticket costs 30zl and includes commentary about the event. Oh..and the panorama is a CIRCULAR PAINTING! ‘nough said. Before you take an easy transfer to the airport you’ll probably want to buy some souvenirs. A great place to get some is the Dominikanska Shopping Centre. 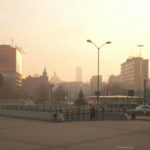 It is one of the largest shopping centres in Poland. You’ll surely find there anything you need. Grab something to remember your trip, a present or two for the kids, a bite to eat, but please don’t miss your departure! We hope that you had a great time in Wroclaw and expect that you’ll come back for more! That’s all you have in store for your trip. Remember, if you prefer you can always book a tour or rearrange your itinerary to fit your needs. You’ll do a good bit of walking, but you’ll also eat delicious Polish food, see amazing sights, and experience an adventure off the beaten path.